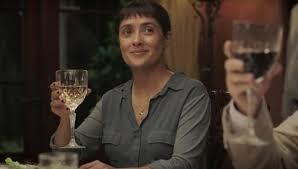 Beatriz at Dinner is writer Michael White and director Miguel Arteta’s third film collaboration after Chuck and Buck (an interesting character study of a gay man wanting to take up a former relationship with his best friend who is now married and apparently no longer gay) and The Good Girl (a modern day somewhat clever take on Madame Bovary). Together they have made a very solid series of films. Nothing perhaps to light up the sky, but still, quite respectable and entertaining. Beatriz at Dinner is probably their most ambitious. At the same time, however intriguing and entertaining it often is, it is probably their weakest. I think this may be because they set up an intriguing premise, but failed to, or didn’t know how to, really resolve it all in a rich and satisfying way. With the result that instead of being devastated by the final scene, I was more thinking, “Hm, that’s interesting. I wonder what they are trying to do there”, which I’m not quite sure is what the duo was really striving for. The basic premise revolves around the title character who is a holistic masseuse, an immigrant from Central America, now an American citizen. She is important to Cathy and Grant, a somewhat bourgeois couple, because she was integral to their daughter’s recovery from cancer. When Beatriz’s car breaks down, Cathy, who considers her a friend and almost family, has no second thoughts about asking her to join them for a dinner party in honor of an important business client. Grant, who doesn’t really consider Beatriz a family friend, reluctantly agrees. Then the dinner guests arrive, including the guest of honor, a bullying, rapacious, ugly American, Ayn Randian businessman who has no qualms displacing poor people so he can build his hotels, all the while without worrying about the environmental impact. Any resemblance to a certain president, I’m sure, is unintended. But at any rate, what could possibly go wrong? The film has some strong moments. Perhaps the cleverest aspect of the movie is how all the yuppie guests treat Beatriz as an equal, while all the while you can sense that they don’t quite feel it, that they are somewhat acting a politically correct part. Maybe it’s just a tinge of condescension that seeps in here and there. 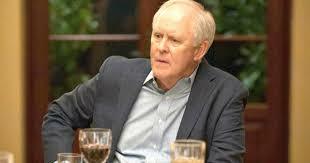 But the real moments in the film belong to Salma Hayek as Beatriz and John Lithgow as the businessman as they take out the epees and spar with each other. Hayek gives a very empathetic performance while Lithgow seems to be just so comfortable in the skin of his character, it makes one wonder. Both give two of the best performances of their career. But though the sparring gets rough at times, I’m not sure it ever draws enough blood. There’s an unanswered question that seems especially unresolved (Beatriz swears she knows the businessman, but I think in the end, she just knows others like him, which is metaphorically okay, but makes the conflict a bit too anemic perhaps, but then again, maybe I just missed something here). And then there’s that ending which I’m not sure has been earned. And though I think I know what it means, I can’t be sure. And I didn’t feel it as much as I wanted to. With a nice bit of solid casting in supporting roles, including Chloe Sevigny and Jay Duplass as a social climbing couple. The best line is delivered by Beatriz after Cathy tells her, “I feel like I don’t know you”. She says quite matter of factly, “You don’t know me”, which to some degree says it all. 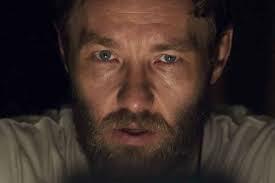 In It Comes at Night, the world has been devastated by a plague, one that has also killed off most animal life as well. A couple, their son and their grandfather (who is disposed of in the beginning because he has become infected), have made a fortress for themselves in a house located in a remote section of the woods and struggle to survive. There’s actually a lot to like in writer/director Trey Edward Shults’ new Sci-Fi/horror film. It’s very well made with solid production values. It’s certainly a self-contained, relatively micro-budgeted movie that new filmmakers could learn a lot from. And it is a step up from Shults’ first feature, Krisha, about a recovering alcoholic visiting her family for Thanksgiving after many years of not seeing them (Krisha was solid and sometimes impressive enough, especially for an initial project, but perhaps little more than that). The new film is also more ambitious. The acting is strong with a brooding Joel Edgerton as the patriarch; Carmen Ejogo as his wife; Kelvin Harrison, Jr., as their coming of age son; and Christopher Abbott and Riley Keaugh as a couple that comes to them for help. The film is full of scenes of unnerving tension and debates on what is moral and immoral when one is simply fighting for existence. And it has a wonderful cavernous house that is almost a character in itself. But I’m not sure It Comes At Night really works as well as it might. One, and perhaps the most debatable issue, is that as it went along, I kept saying to myself, “Well, this isn’t a lot of fun”. That’s an odd criticism since, if you asked the filmmaker, he would probably say, “Well, it’s not supposed to be”. Point taken, but still it was my reaction, whether justified or not. The other reason I think it falters is that the story is filled with some nightmarish dream sequences the son has. But they don’t further the plot or deepen the character. They just seem to be there as jump and go boo moments until it actually felt like the only reason they were included is because there wasn’t enough plot to fill out a film’s normal length and something had to be done. They just feel a bit too much like filler. 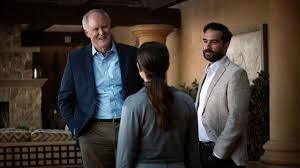 And finally, like Beatriz… I felt there was a central question or plot point that was never answered. It is possible that the explanation the screenplay gave was supposed to do the trick, but since it didn’t quite make sense to me, I felt the movie had a loose end.